Rihanna covers the September 2018 issue of British Vogue. She made history by becoming the first black woman to cover this most prestigious issue in the entire history of the magazine. In a behind-the-scenes video released by British Vogue, Rihanna chats with Editor-in-chief Edward Enninful ahead of the photoshoot. They discuss the choice of photographer and some of Rihanna’s inspirations for the shoot. 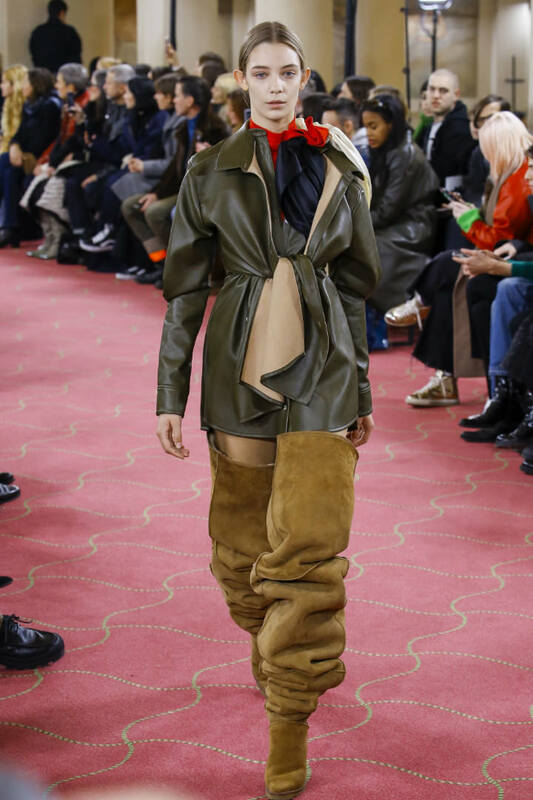 They then take a look at some of the pieces Enninful pulled from the Fall/Winter 2018 collections. Here’s some info on what Rihanna wore in the video. The megastar rocked a faux leather dress from Y/Project‘s Fall/Winter 2018 collection. The green double front mini dress has long sleeves and two button front closures. It can also be tied in the front. It will be available soon. Follow Y/Project on Instagram for updates. As Rihanna arrived at the Condé Nast offices, we got a quick look at her handbag. 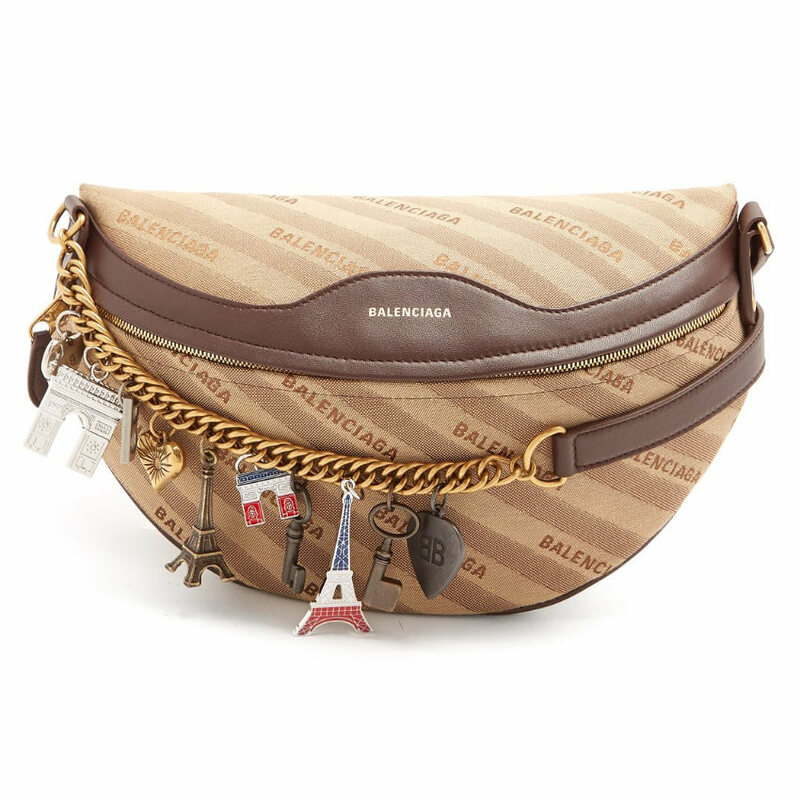 She carried Balenciaga‘s mocha canvas and brown leather XS Souvenir bag ($1,890). Several charms are attached to the chain and leather shoulder strap. These include the Eiffel Tower and a key.